for the past months. Published on 6 October by Phaidon, I have to say that this book went way beyond my expectations, despite the fact that the anticipation was high. 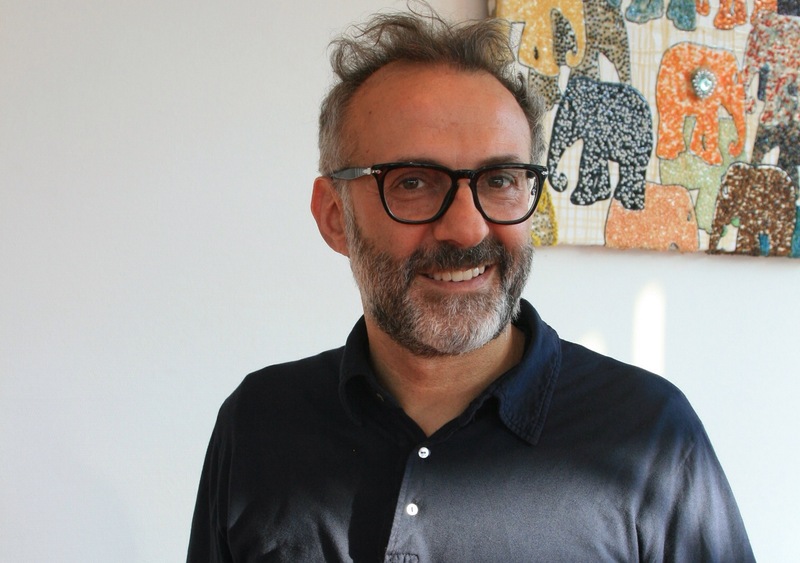 For those who are not familiar with Massimo Bottura, this Italian chef is considered to be the most avant garde Italian chef in the world. His restaurant, Osteria Francescana has three Michelin stars and is at the moment considered to be the third restaurant in the world in the World’s 50 Best Restaurants awards. In 2011, he was also given the Chef’s Choice as the best chef in the world by his colleagues. The book, Never Trust a Skinny Chef, which I read from start to finish in two days, is an exceptional read. Having had the pleasure to meet Massimo and listen to him explain his philosophy of cooking, reading his book was actually like listening to him explain the creative process that has gone into many of his creations. I would not hesitate to say that this is actually one of the best ‘cookery’ books that I have read. But this is clearly a book with a difference and you could not expect anything else from this Italian chef. It is not your run of the mill book and while most of the recipes are nearly impossible to replicate at home (alas I have a passion for cooking but I only cook at home where the equipment is not the same as one would expect to find in a three Michelin star kitchen), it is still interesting because it reveals the story and the incredible depth that goes into even what seem like simple dishes. The impressive dish “Snails in the vineyard”. But what is inspiring about the book are the stories behind each dish. Here, Massimo reveals generously how he goes about creating his dishes. It would be safe to say that few chefs in the world would get away with serving ‘how to burn a sardine’, ‘chicken chicken, chicken where are you’ or ‘oops I broke the lemon tart’ to mention just a few examples. But once you understand the philosophy of this impressive chef and you look at his recipes you realise that what might look simple at face value is not only complex but also full of profound meaning. Bottura is one of the most misunderstood chefs in Italy. In the book he recalls the night in London when he was voted as the best Italian restaurant in Italy, and on that same evening, Osteria Francescana was being featured in a TV programme in Italy where undercover reporters ordered a tasting menu and were questioning the credibility of the kitchen. “It was such a big deal in Italy that the police even showed up a week later to inspect our pantry. We were accused of poisoning people with our food and our ideas. While an international jury was praising us we were scolded at home. This is what happens when you mess with grandmother’s recipes,” he says. One of the most touching parts of the books is when he describes the day that his restaurant was awarded the third Michelin star. 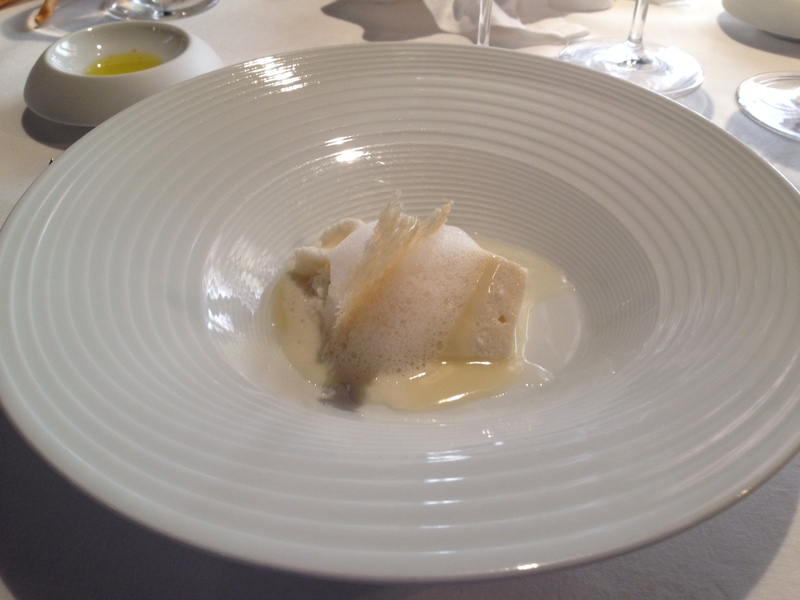 “In November, I received a call from the Italian director of the Michelin guide. I don’t know who started crying first, him or me. There is no describing the feeling of receiving that intangible third star; I’ll never understand what it really means, so I just keep thinking about the next recipe,” he says. Massimo’s mentors were Georges Cogny, Alain Ducasse and Ferran Adria and his cuisine is a reflection of these experiences. But as he says, his wife Lara Gilmore has also played a significant role in making him appreciate modern art which is so visible in his philosophy of cooking. The photography in the book is also great and is the work of Carlo Benvenuto and Stefano Graziani. It depicts not only the finished dishes but also the life inside the kitchen and aspects of Massimo’s life which allows the reader to get a glimpse of how Massimo draws inspiration for his dishes. The book is divided into four main sections which reflect some of the main dishes that have been served at Osteria Francescana. The sections are Tradition in Evolution, Working Class Heroes, Image and Likeness and Come to Italy with Me. The final part of the book includes his biography and the recipes. In the book, Massimo reveals the thought process that goes into creating the dishes for his restaurant. For tradition in evolution, Massimo says that cooking is the only way he knows to bring the best of the past into the future. “If traditions are put under glass, they stagnate. It is hard to stay one step ahead of nostalgia, but it is important to find that critical distance, to keep moving forward even when you are looking back.” Massimo says that he used to think that the words tradition and evolution contradicted each other, now he sees them as two sides of the same identity. I would recommend this book to any person who is interested in how great artists go about the creative process. It might help if you have a fascination with food. But it is not necessary. If you are interested in creativity, this book is a must read. It is safe for me to say that this is one of the best books on creativity that I have ever read. I would say this is essential reading for chefs or aspiring cooks but even a home cook with an interest in questioning the status quo will open new horizons with this book. It all starts with exceptional knowledge of the produce and ingredients. Massimo has full respect for the producers that give him the produce to work with. He follows tradition but then departs from that tradition by taking the Italian cuisine we know into the future. He has no qualms using humble ingredients to showcase his exceptional talent. Massimo’s story is well worth discovering and it is all there in this book. It is a case of the perfect example that ‘following your passion is essential but that success ultimately boils down to a lot of hard work.’ He also puts great emphasis on his team and most of the people that started on the journey with him are still working with him. 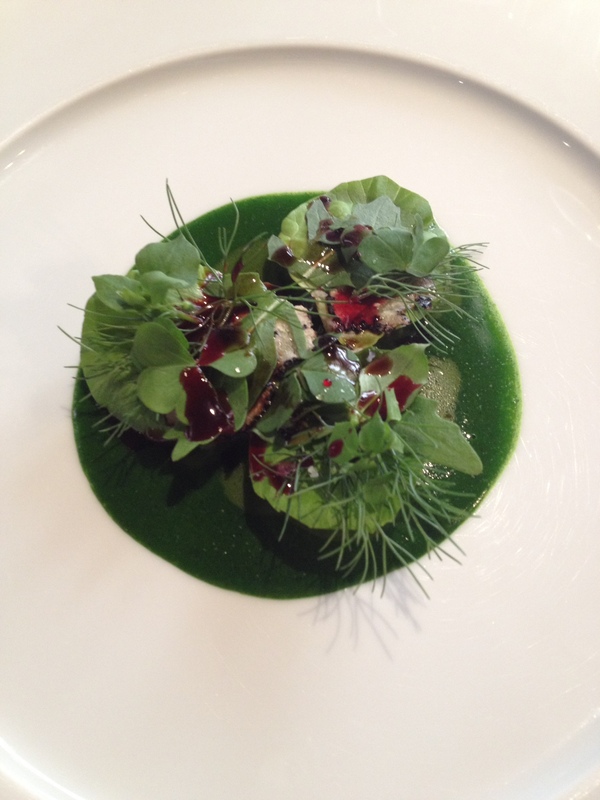 If you want to learn more about Massimo Bottura read our profile here as well as our review of a lunch at Osteria Francescana. And here is a link to the book.